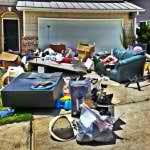 Do you have junk, debris or unwanted items in your home that you just really want to get rid of? Have you been contemplating getting this junk out for quite some time but just don’t know how to go about it? 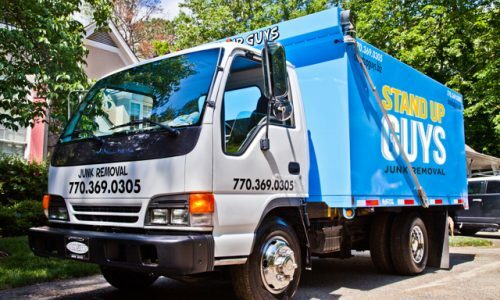 If this sounds like you, and you’re located in the Carrboro area, I have the perfect solution to your problems; The Stand Up Guys Junk Removal Crew. 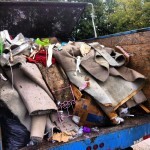 The Stand Up Guys are the number one option for household junk removal, debris hauling and cleanouts in Carrboro. We’re number one in the hearts and minds of the people of Carrboro because of our outstanding efforts towards top notch customer service and giving back to the community. 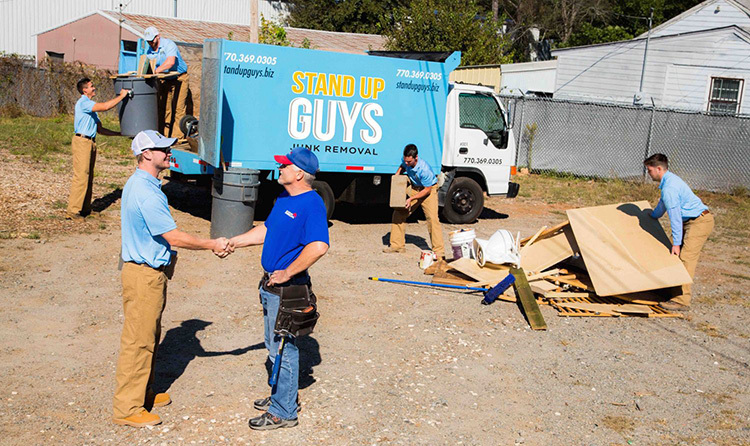 The Stand Up Guys donate and/or recycle more than 60% of the items that we remove from out Carrboro customers. 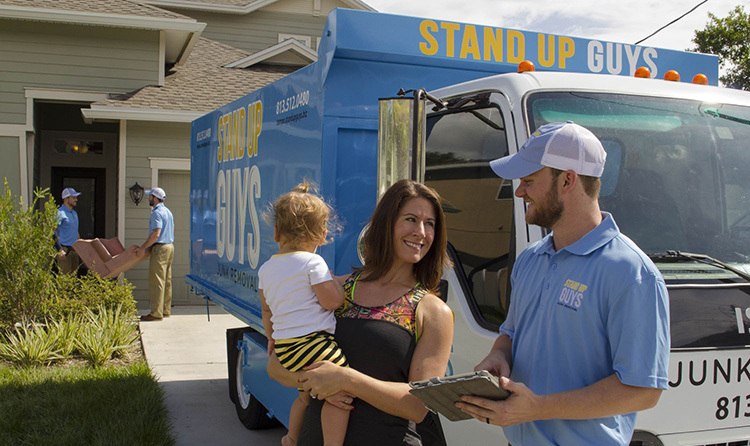 The Stand Up Guys will take any and everything you need as well. This gives all of our Carrboro customers peace of mind when they hire us. 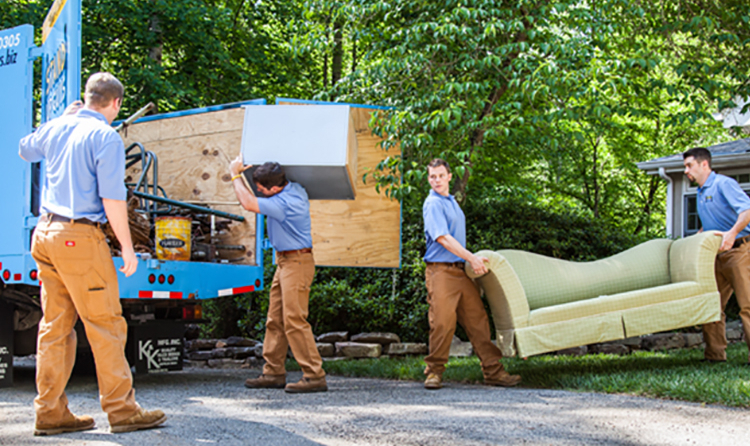 It’s nice to know that no matter what you have, The Stand Up Guys will manage all the lifting, loading, hauling and disposal for you. You can’t go wrong with The Stand Up Guys! Carrboro is one of the most coveted, beautiful cities in all of Orange County, North Carolina. Carrboro is also one of the largest cities in the area as well, with well over 20,000 residents that call the city home and over 8,500 households. Carrboro is known for many different things, one of which is that it’s considered one of the most progressive cities in the entire United States. Carrboro was actually the first city in the country to hire an openly gay Mayor. Good for you Carrboro. Carrboro is a growing city as well. In just the last 5 years, it has grown at a 8% rate in population. That’s a huge number for an already big city. People come to Carrboro for many reasons, but most wind up staying simply because it’s impossible not to love. 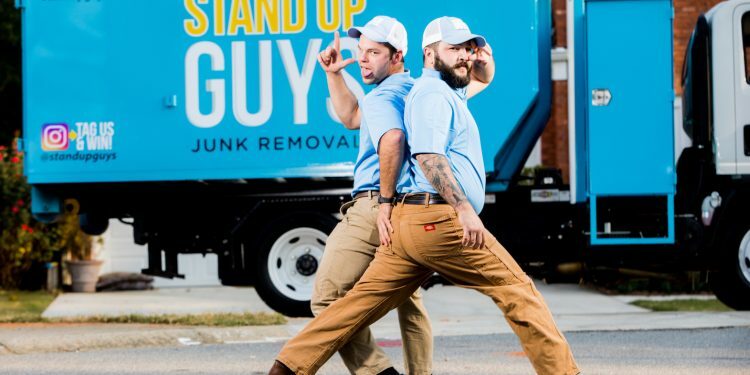 One of many perks you have to living or working in Carrboro is that you have access to The Stand Up Guys Junk Removal Crew. The Stand Up Guys cover the entire city, from the Carrboro Art Center to Downtown and everywhere in between. It doesn’t matter where you are in Carrboro, we’ll come to you!